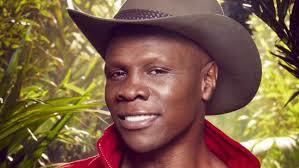 Ex World Champion Boxer Chris Eubank has one of the most recognisable voices in the UK. He doesn’t typify your normal boxer in the respect that he’s incredibly articulate and considered in the way he speaks. He could be classified as being well-spoken or upper-class, despite having lived in Stoke Newington, Dalston, Hackney and then Peckham, before moving to The South Bronx in New York. In his early years, Eubank had a trademark lisp and a lot of impressionists seised on that as part of their impersonation, but since his boxing days, he has had his teeth repaired and has in fact lost his lisp entirely, so to give him one is in fact not being entirely accurate. Chris now has a very gentle ‘s’ sound. His voice is soft, gentle and fairly high in pitch. He’s a thinker, a wordsmith and this is to be reflected in not only his vocal style, but also in his mannerisms. In the way that Chris speaks and articulates himself, he’s the antithesis of a boxer! This makes him very interesting to listen to and to impersonate and I’d have to say that he’s one of my favourite voices to imitate. If you’re looking for an impression or sound a like of Chris, please do drop me a line and let me know how I can help you.